This height adjustable, sturdy Trolley Walker is the ideal walking aid for transporting items from one room to another. This height adjustable, sturdy Trolley Walker is the ideal walking aid for transporting items from one room to another. 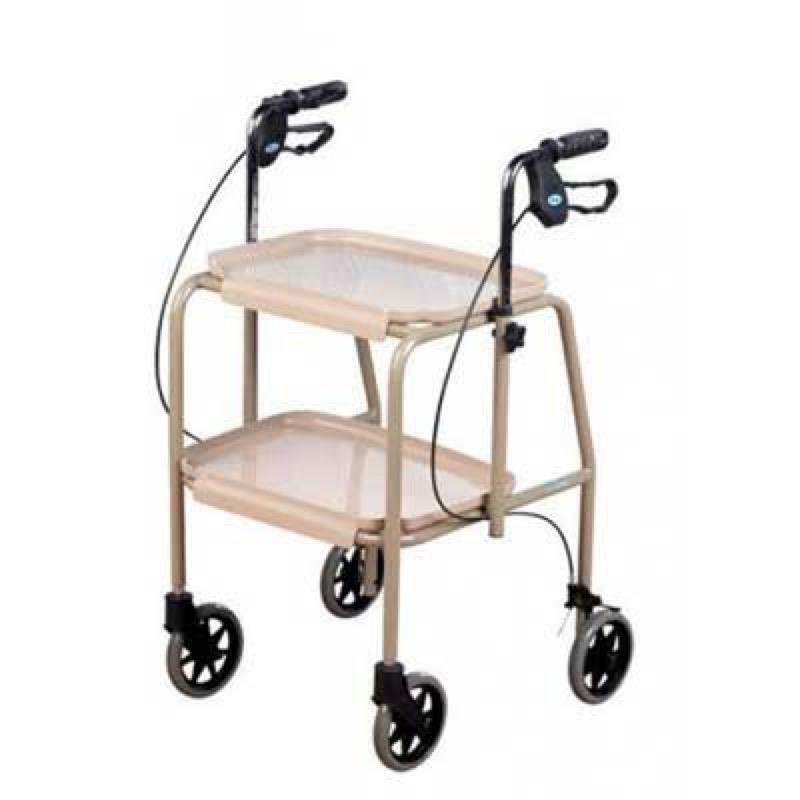 The trolley features clip-on plastic shelves which are easy to clean and lockable hand brakes which provide additional safety when rising from a seated position. The Trolley Walker is the perfect way to safely transfer meals, drinks, magazines and many other items.